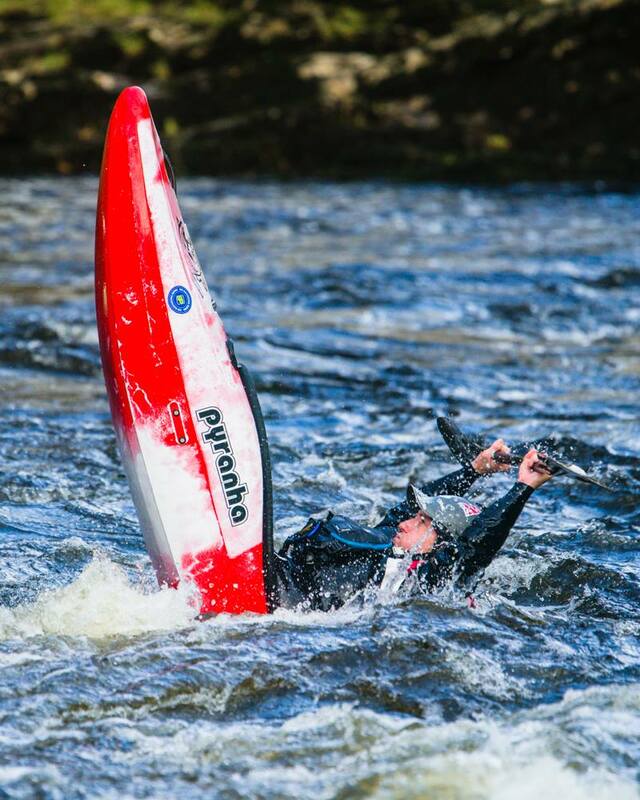 Last weekend we spied the very obvious black preproduction prototype Pyranha 9R MKII on the water. However there was another 9R prototype on the water that was not quite as conspicuous. In its classic Pyranha colours this prototype 9R doesn’t look too different to the current production model and didn’t get much attention. Given that I am a bit of a boat geek I knew it looked different from the current model. 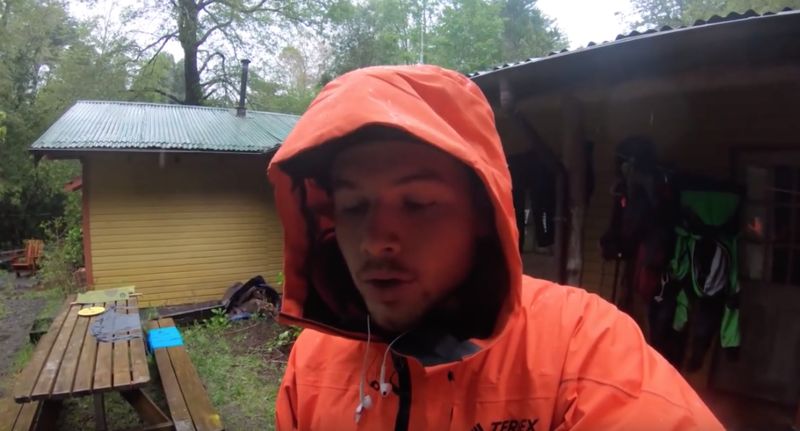 Getting your outfitting setup correctly is a crucial part of the paddling art. 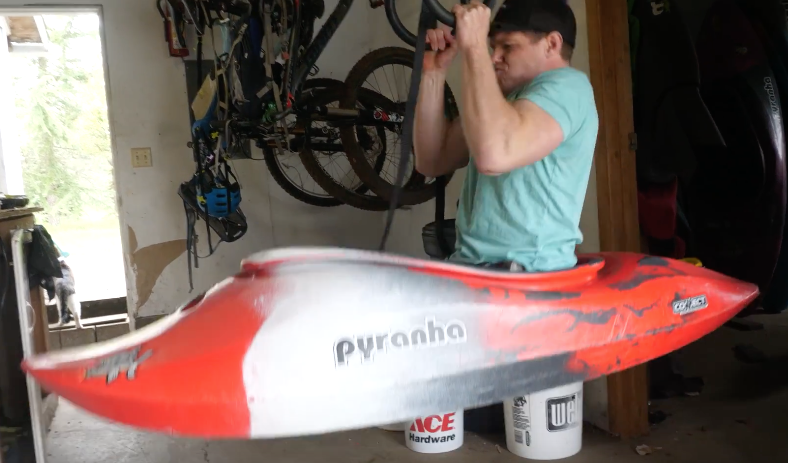 An ill fitting boat doesn’t help your paddling technique. 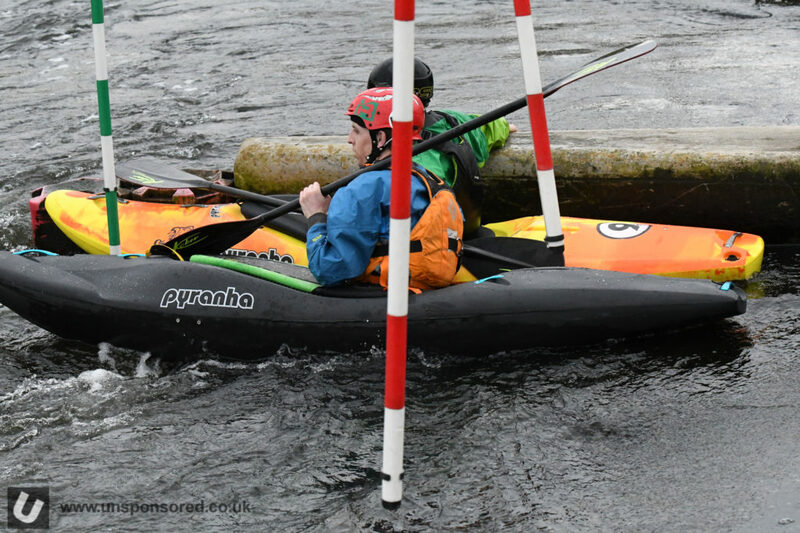 Team Pyranha’s Chris Brain shows us how to get the best paddling position in your Pyranha C4S or Stout Kayak by optimising your seat height. 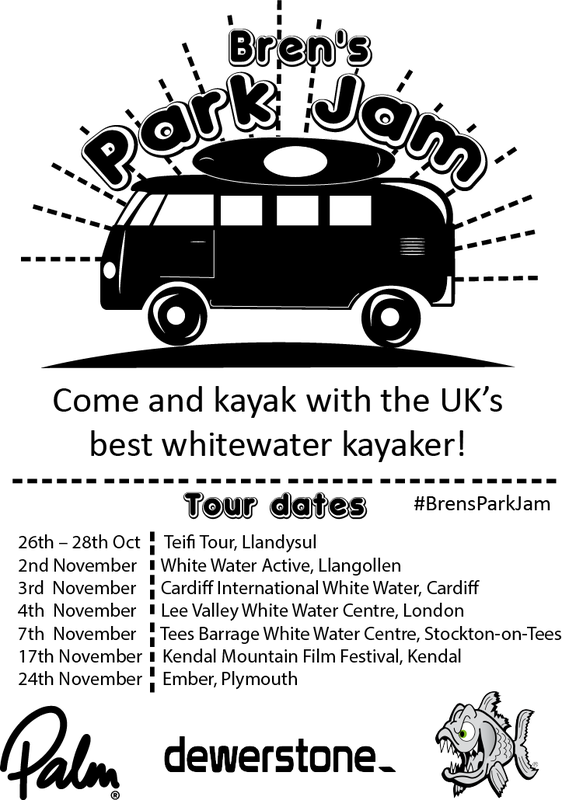 Bren’s Park Jam – Check it out. 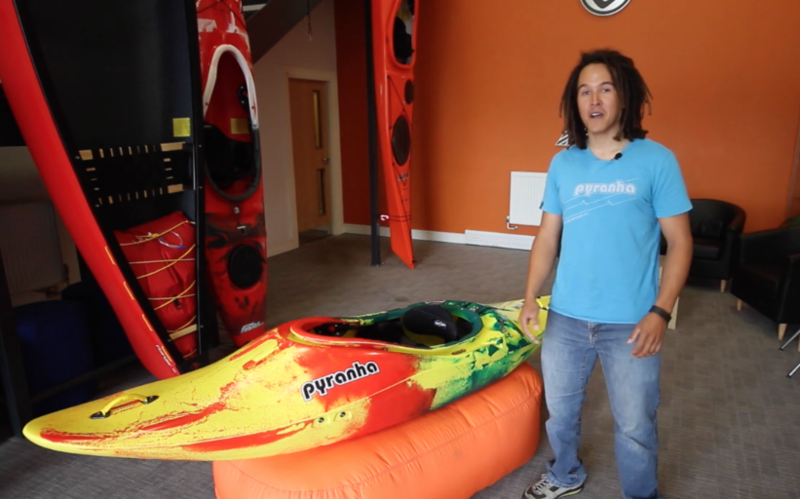 This shot from Canoe & Kayak Store looks like the Pyranha 12R. It looks like a beast. Bren is back after seeing himself off. This section of whitewater is not actually that easy, but I have done so many laps down it and I know it so well now, that in my head it is a “chill” run. If that makes anysense at all? My first time down it I was much more out of control, underwater and not anywhere near as relaxed. There are a lot of names to this trick such as the stern squirt, the squirt, the pirouette and the whooppie. But if you watch this video you are now only allowed to call it the Tailee from now on. 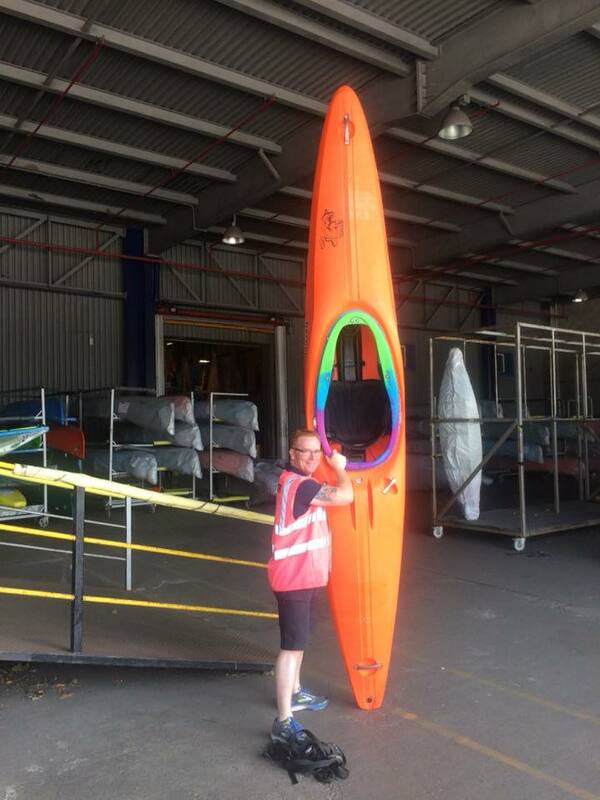 I’ve been boating for well over 30 years so have been well placed to see the development of the sport and particularly the design of kayaks. 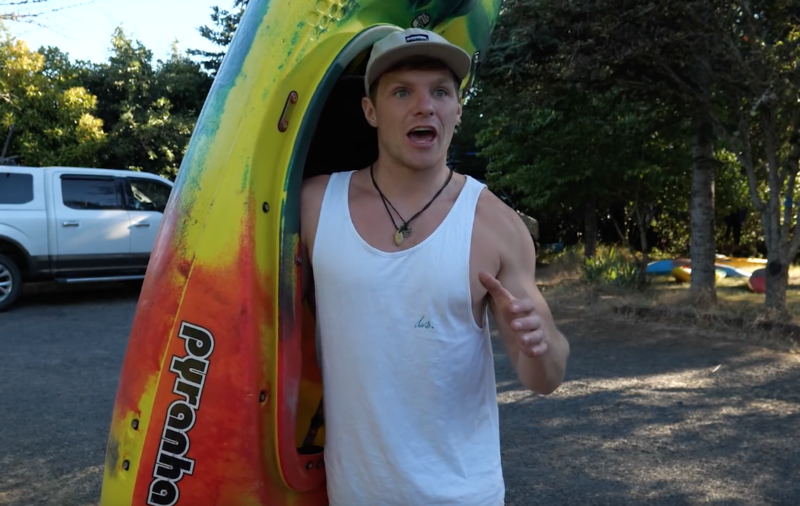 Kayak manufacturers are now looking back to the longer slicey kayaks that were around in the late 1990s and early 2000s and I for one am really happy that longer slicey kayaks are back. 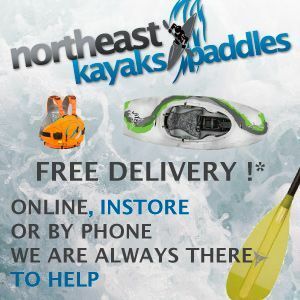 I will say now that if you have only ever paddled poppy high volume short boats or super stable creekers then you need to find yourself a slicey kayak to try. At 9ft long (medium) the Pyranha Ripper could be a contender. 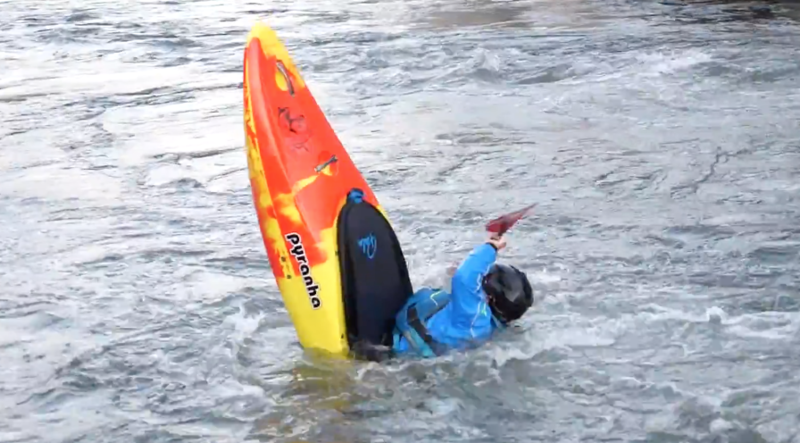 The Pyranha Ripper is one of the first modern slicey kayaks to come from one of the major players in the game that has also been widely available here in the UK. 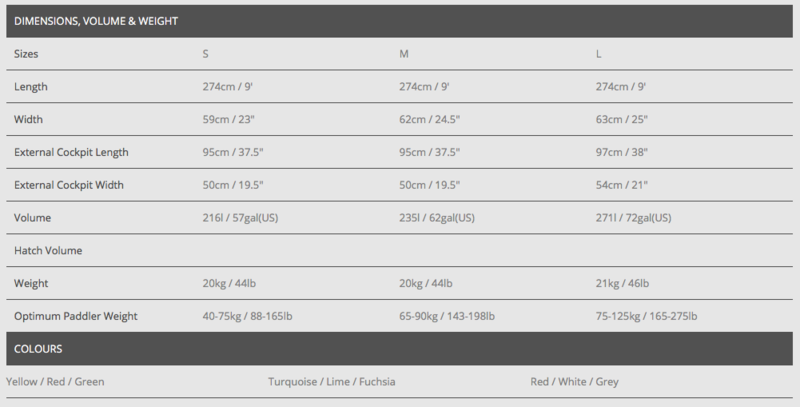 At 6ft 2″ and 200lbs I am above the recommended weight limit for the medium Ripper (145-190lbs). 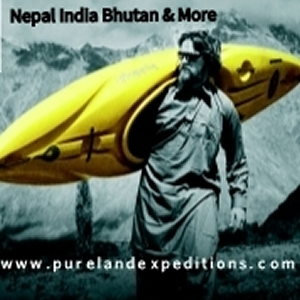 Nevertheless, that is the kayak I am reviewing here. In addition to the medium the Ripper is also available in small with a weight guide of 88 – 165lbs with a large sized Ripper available very soon. 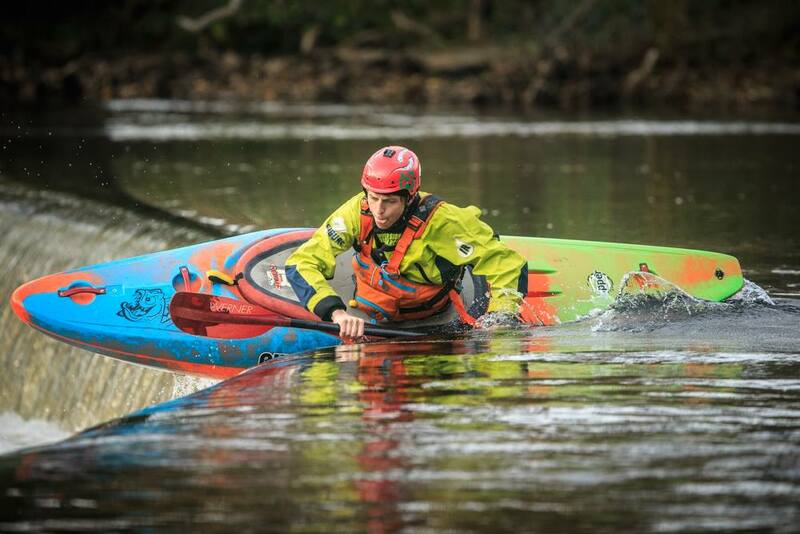 The specs for the large Pyranha Ripper are now live and the boat is now in production. I’ve been back in England for a few weeks now resting up after a recent crash. 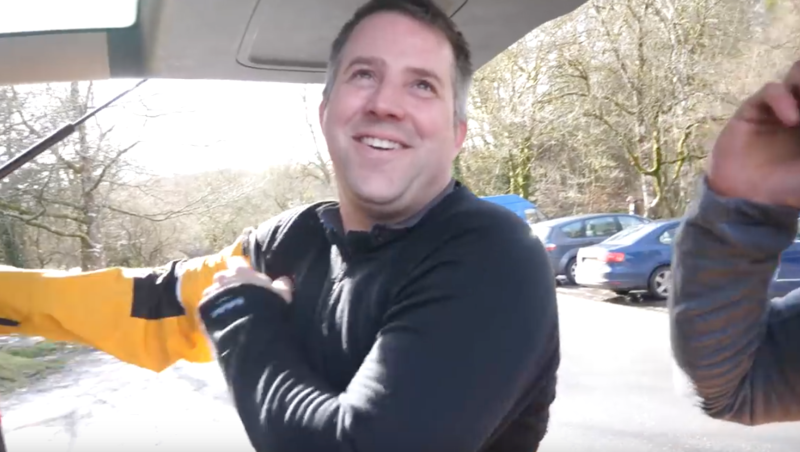 I was finally starting to feel better so I called up one of my best mates and my old boss, Rob Harris and we went to the River Dart, the levels where so low but that didn’t stop us from having a great time! It felt just like old times, bunking off work, going kayaking and taking the piss out of each other… it was so much fun!